Pretty much, winning helps activate the % increase though. Yeah I know, but it doesn’t matter how well I played. MVP or not no percents up. I think best was 8 wins in a row where in all I played decent… Nothing. And in case you got it wrong, I haven’t got even a 0.01% up combined since monday. I’ve only gone down. By the way, does it affect if enemy team quits? hi i would like to know why my rank is stuck in 2 game modes in duel by teams and king of the hill do not move at all or 2v2 and I would like to know some solution? There is no solution! What rank are you? Usually for alot of people it gets difficult to rank up at Onyx 3 or Diamond 4. It is quite easy to reach Diamond 3/4 once you got to diamond 1. I won at least 10 matches and I just dont up my rank, any solution? Although, @III_EnVii_III does have a lot of time on his hands with the long matchmaking times. 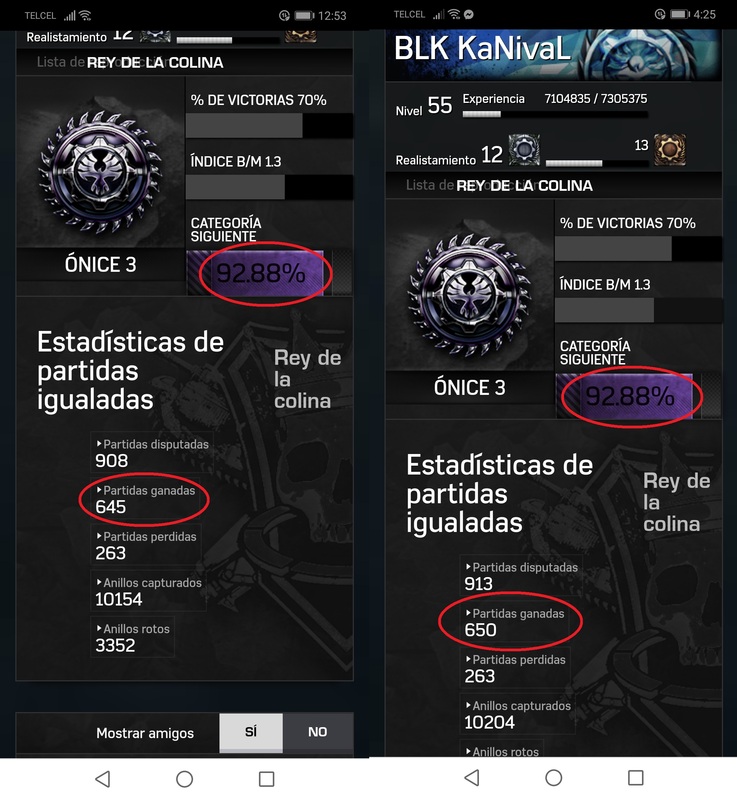 won games and the percentage does not increase, I started taking screnshots to have a test. I’ve been going on win streaks on TDM, I have had the things you would need to gain percentage and I haven’t gone up once, and if I lose I drop drastically. This is a real problem for me and I know many others that have this experience. It’s constant and I feel no matter how many games I win and go positive it won’t go up. What we really need is for wins to matter almost not at all in rank (I should be able to increase in rank after losing a match for playing better than my peers, that’s just common sense) and WAY more transparency in-game. Whether or not the numbers crunch the way it’s intended, it’s a frustrating experience for a lot of users. "Why did I just lose 3 percent for getting MVP despite losing the game and the rest of my teammates getting <1 K/D’s? Why did I not gain any percent after winning 4 matches in a row? " You hear that all the time. On the end screen, just be honest about what’s going on. Show the user, these are the factors that contributed to potential gains and these are the factors that contributed to losses, this is by how much, and this is your final result. I don’t understand devs wanting to hide technical stuff, people won’t complain if the system is consistent and it’s obvious what’s going on.